Join us and cruise the Gulf Coast Highway with Deep South singer, songwriter Lucinda Williams as she talks about her connection with traditional music, her writing style and sense of place. Plus, Lafayette, Louisiana R&B chanteuse and pianist Carol Fran comes by the studio for conversation and a special live set. There's also great music from Johnny Cash, Cassandra Wilson, and Gatemouth Brown. Find the connections between the literary landscape and soundscape. We talk with Columbia University jazz scholar Robert O'Meally about the music writings of Ralph Ellison, the Harlem Renaissance author best known for the novel Invisible Man. And visit with songsmith and wordsmith James Talley. 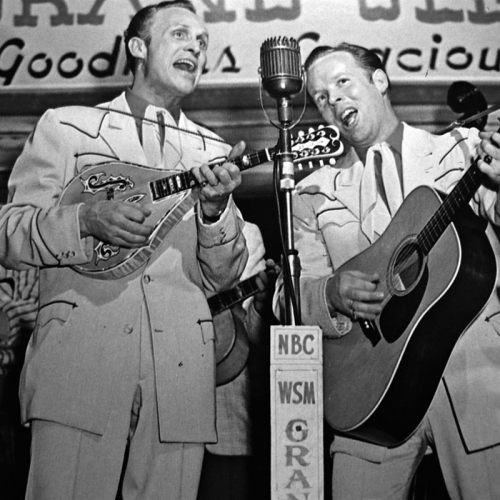 Plus music about writing, reading and talking by Hank Williams, Cassandra Wilson and Bob Wills. Join us and cruise the Gulf Coast Highway with Deep South singer-songwriter Lucinda Williams as she talks about her connection with traditional music, her writing style and sense of place. Plus, Lafayette, Louisiana R&B chanteuse and pianist Carol Fran comes by the studio for conversation and a special live set. There's also great music from, Johnny Cash, Cassandra Wilson, and Gatemouth Brown. Join us and cruise the Gulf Coast Highway with Deep South singer/songwriter Lucinda Williams as she talks about her connection with traditional music, her writing style and sense of place. Plus, Lafayette, Louisiana R&B chanteuse and pianist Carol Fran comes by the studio for conversation and a special live set. There's also great music from, Johnny Cash, Cassandra Wilson and Gatemouth Brown. Our Easter/Passover show, as Nick Spitzer talks to the one and only Rev. Al Green about growing up in rural Arkansas and how soul music leads to saving souls--including his own. Plus nouveau klezmer musician Steven Bernstein on jazz and Jewish tradition swinging together. Also we explore Pagan, Deep South, cowboy and cartoon versions of the Easter bunny and kin. Plus seasonal music from Irving Berlin, Fats Domino, Gene Autry and Cassandra Wilson. Our Easter/Passover show, as Nick Spitzer talks to the one and only Rev. Al Green about growing up in rural Arkansas and how soul music leads to saving souls--including his own. Plus nouveau klezmer musician Steven Bernstein on jazz and Jewish tradition swinging together. Also we explore Pagan, Deep South, cowboy and cartoon versions of the Easter bunny and kin. 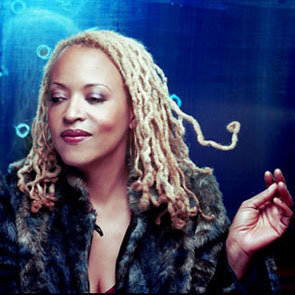 Seasonal music from Irving Berlin, Fats Domino, Gene Autry, and Cassandra Wilson. The world of Randy Newman -- from Beethoven to Gershwin, rednecks and short people, L.A. to La. Music from Newman plus Cassandra Wilson, Buck Owens, Slim Harpo, and Art Blakey. The world of Randy Newman -- from Beethoven to Gershwin, rednecks and short people, L.A. to LA -- as we speak with him at his home studio in Pacific Palisades. Plus music by Cassandra Wilson, Buck Owens, Slim Harpo, and Art Blakey. FROM THE SHOW: DELTA DAILY LIFE.